Results warrant further testing of nintedanib in this disease setting. 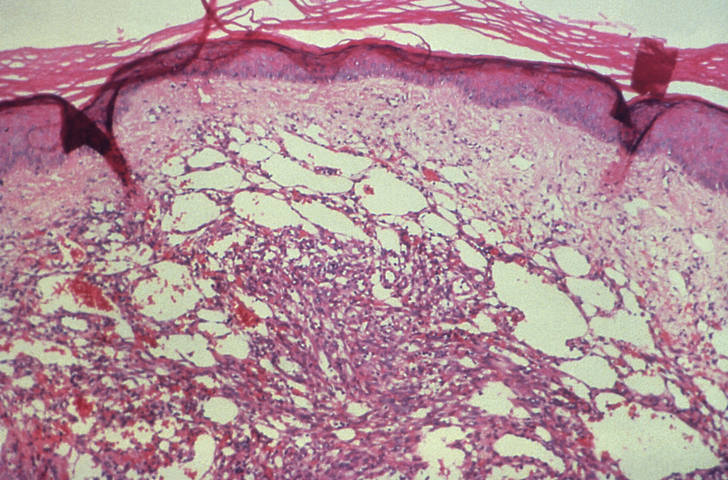 The triple angiokinase inhibitor nintedanib has potential as a treatment in synovial sarcoma, the authors of a study published in Molecular Cancer Therapeutics determined.1 A preclinical study of the drug showed the agent had activity in soft tissue sarcoma cell lines. Nintedanib is a triple angiokinase inhibitor that targets PDGFR, VEGFR, and FGFR pathways, which are thought to drive tumor development and progression in sarcoma. Looking at sarcoma cell lines, the study showed that nintedanib had significant antiproliferative effects in vitro with high expression of RTK drug targets. Treatment with nintedanib resulted in the downregulation of downstream phosphorylated AKT and ERK1/2. Additional experiments were done in mouse SYO-1 xenograft models. The researchers found that treatment with nintedanib resulted in significant tumor growth suppression. Finally, in vitro and in vivo testing of the efficacy of nintedanib compared with imatinib showed nintedanib had an efficacy superior to imatinib — a drug that has tested previously with minimal success in sarcoma. “Taken together, data from this study strongly suggest that nintedanib-mediated inhibition of PDGFR and FGFR in synovial sarcoma could have potential therapeutic implication given the role of these RTKs in this disease setting,” the researchers concluded. Disclosures: The original study was funded by the Herbert Irving Comprehensive Cancer Center, Columbia University, New York, New York. For a full list of disclosures, please refer to the original study.